Licensed Professionals and Medicating with Marijuana: Read This First! The subject of medical marijuana patients, the law, and company policies was explored in a previous blog. The gist of which was, medical marijuana laws protect patients against criminal prosecution but do not prevent enforcement of employer policies related to “drug use”. What about those who are licensed professionals, specifically self-employed ones? Clearly, if you are employed by a company as a licensed professional or non-licensed worker, you must adhere to whatever company policies are in place related to marijuana, and typically, company policy does not distinguish between recreational and medicinal. But what about being a self-employed licensed professional? Are these workers, if also medical marijuana patients, protected? As said earlier, medical marijuana laws protect “card carrying” patients from criminal prosecution, but not an employer's company policies regarding cannabis use. If you are self-employed, licensed or unlicensed, effectively writing your own company’s policies, you can basically make your own work place rules. So yes, you are protected from an employment standpoint. Enter professional licenses, such as physician, lawyer, or stock broker. While someone who is self- employed can make their own company’s policies, the licensed professional has another set of rules to follow, which he or she does not have control over. When becoming a licensed professional, an agreement is made by virtue of the license between the individual and that profession’s governing board to comply with the rules set forth. So in this regard, the answer is no, you are not protected from disciplinary action, including suspension and/or revocation of your license, if your professions governing board has rules in place specific to “drug use” or practicing your profession while “under the influence”. But this makes sense, right? Unfortunately for those professionals who would greatly benefit from medical marijuana as a treatment modality, it does make sense. Rules governing licensed professionals are intended to uphold a high level of integrity, ethics, and expertise for those professions, while at the same time, protect the public from harm. Who would want to have their surgery performed by a doctor who just ate an edible or be represented by a lawyer for a sensitive legal matter who just vaped? It is this author's guess that the answer is basically, no one. Certainly, it is unlikely for a self-employed professional to face disciplinary action by their governing board unless reported by an individual or colleague. However, this doesn't mean that it's okay unless you're caught. Professional licenses convey a level of trust and expectation that they be practiced with a clear, not cloudy, head. But what if those self-employed licensed professionals only medicated when not working? This is okay, right? Well, if the rules and regulations of a licensed profession prohibit cannabis use as a whole versus practicing while under the influence, the answer is no. A licensed professional is putting their license and livelihood at considerable risk if he or she chooses to use medical or recreational marijuana knowing it is not allowed as a condition of their license. However, if the rules have more to do with practicing while under the influence, the answer isn't so black and white. While medicating with marijuana after work is unlikely to affect one's performance the next day, here's the problem. 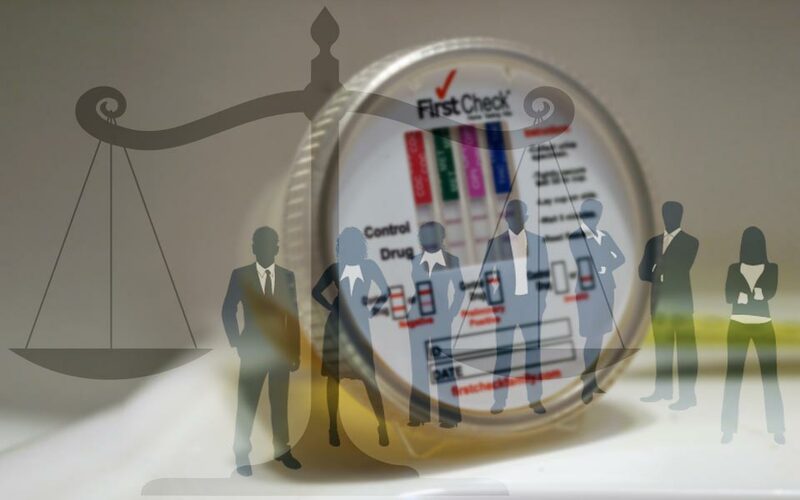 Drug testing detects the presence of specific chemicals in your system, and unfortunately, the chemicals in cannabis known as cannabinoids, remain in your system for a while after use. Whereas alcohol will leave your system quickly, and would most likely not be detected the morning after a night of drinking, marijuana will be detectable for weeks after use. The medicine that the medical marijuana patient took the other night for pain, so he or she could get a restful night's sleep, can be detected weeks later. As such, if tested, the licensed professional is at high risk for testing positive for marijuana and facing disciplinary action even if not practicing while under the influence and only medicating in their personal time. To this author's knowledge, current drug testing doesn't distinguish between "just used" and "used last night" or last week. It should therefore be a priority to advance drug testing, specifically for marijuana, to where "just used" and "used last night" can be differentiated. Since cannabis is becoming increasingly supported and accepted as a treatment modality, with the majority of the United States enacting medical marijuana laws, it is necessary that professional regulatory boards re-examine and revise their policies related to its use. It is important that anyone who would benefit from the use of cannabis for medical reasons, even licensed professionals, be allowed to do so without fear of jeopardizing their livelihood. However, until more specificity is achieved in the area of cannabinoid detection, and a distinction between "just used" and "used last night" can be determined, licensed professionals must make responsible decisions when deciding whether or not to use medical marijuana.